Jean Painlevé: "Science is fiction"
I have become an admirer of the short films of Jean Painleve (1902 - 1989). He affirmed "the superiority of reality", the "extraordinary inventiveness of Nature", over "the artifice" of traditional cinematographical scenes. 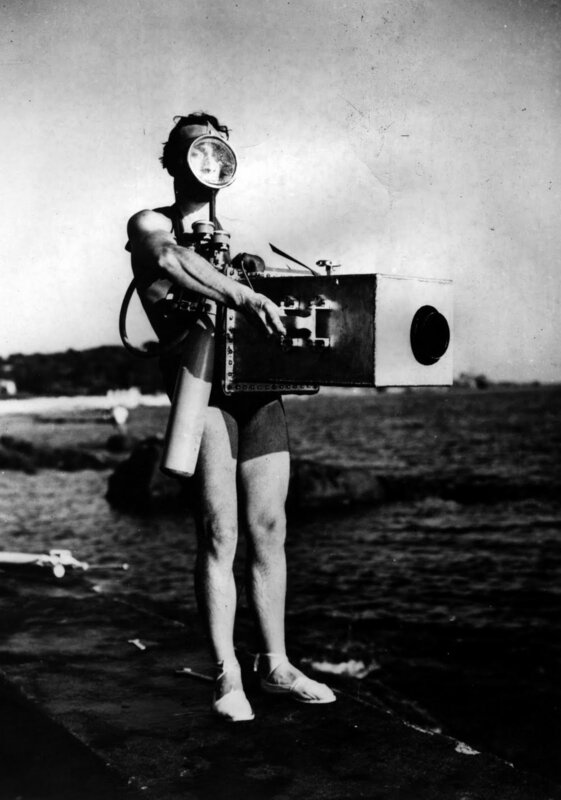 He is pictured with his homemade waterproof housing for underwater photography.